It's almost August! Time to get cracking soon. Here's a list with back to school edtech to do's. I'm sure more than a few will apply to you (this is the same list in my head, or, in a few cases, actually written down somewhere). Confirm the budget for edtech needs. Order anything you have the budget for so it's at school before the year starts! Update your Acceptable Use Policy. Confirm the location of digital cameras. Make sure they’re charged up. Create a signout sheet. Develop a brief communication to parents about your edtech plans (i.e., why is this important?). Partner up with another teacher to grow your edtech knowledge and skills. Considering the interest in the Social Studies apps post last week, below is a list of language arts tablet apps students can use in your classroom. The links are to iTunes, but many are available on the Android platform. We purposely keep the lists short, but if your students use one that is not on this list, please let us know! Spellboard: Use Spellboard to help practice your weeklyspelling words. Common Sense Media - outstanding Digital Citizenship lessons! I'm responsible for building the overall edtech strategy at my school, and digital literacy clearly continues to be an important area requiring significant attention. I teach 7th grade Social Studies, and so I have seen first hand the struggles some students have had, from using appropriate search terms through being able to critically analyze a website for validity. They still have issues understanding "ownership" of the information (e.g., written, photos, video) as well. "It's on the internet, therefore it must belong to me" is a common view, unfortunately. Students still tend to Google an item to search (without much thoughtful time spent on organizing potential search terms), and use the first or second item in the Google list. They don't seem to notice that the first couple items might be ADVERTISEMENTS, and wonder why the result does not seem to help them. We found Common Sense Media, a website with a significant amount of resources on a wide variety of "Digital Citizenship" topics, and this fall will start the 3rd year of its use.It is steadily becoming part of the culture of our school. ; I'm hopeful that this year the process will accelerate. Common Sense Media (CSM) includes a large amount of lessons associated with the analysis and evaluation of digital media, and so is an excellent tool for our teachers to use. There are age-based curriculum maps, and more lessons than any teacher really has time to complete. From the curriculum maps, a small team of teachers at my school developed, by grade, what was deemed the most important areas to be taught - the series of lessons that "must" be done by end of year. Since CSM covers much more than digital literacy, the curriculum is intended to last the full year. Depending upon the grade, there are anywhere from four to ten lessons to be taught. Here is an example of one of the CSM 6-8 grade lessons on Identifying High-Quality Sites. The teachers at the school conceptually buy in to the need for students to grow their digital literacy. For instance, our 5th grade teacher ran an "experiment" with the students at the start of the last year, asking them to do basic research on Sitting Bull. It was obvious, based upon the research done, and the results, that the students need significant coaching to develop their skills. All teachers understand the importance for students to 'get' the concepts of digital literacy. Now, we just need to be a little more rigorous in fitting the lessons in during the course of the year (aka, not waiting to do 'all' during the last 4 weeks of school...). We also recognize this is an interdisciplinary issue, and so, for our middle school in particular, we have broken up the lessons by teacher/subject, so all get to work with the students on some aspect of Digital Citizenship. In one way or the other, MANY of the lessons do touch upon, or directly address, digital literacy. For instance, a majority of the lessons in 4th and 5th grades are focused on media, how to evaluate it, understanding copyright and intellectual property ownership, and so on. Here's a link to our K-8 Curriculum, based upon CSM"s overall lessons and curriculum map. Digital literacy is a cornerstone of the skills our students must master to be successful in our digital world. This is a life skill, not just an academic need. Our school recognized that need, and uses Common Sense Media as our primary resource for materials to train our students. We have a curriculum which has been used for 2 years, to help students understand all aspects of digital literacy and citizenship. The teachers do understand the need for students to gain these skills, and this year, I anticipate an ongoing continuation of the curriculum to help students. All the teachers at the school have now been through the program once or twice, and so the confidence level should be high. Here's a little GoAnimate video I created that speaks to some of the issues, and the approach two teachers took to address them. Enjoy! If your students use tablets you may be looking for informative, engaging apps for the coming school year. 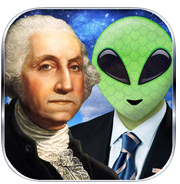 Below are some tablet apps associated with Social Studies. These apps are fun and linked to state standards. Take some time to explore the options. Most are available in both iOS and Android, and just about all are free! Common Sense Media has been our go-to site to teach students how to be responsible digital citizens. Their lessons and videos cover all areas of digital citizenship at all grade levels. We encourage our parents to sign up for their newsletter too, as it provides helpful reviews and advice for managing media with their children. A couple weeks ago Common Sense Media introduced a new service, Graphite, to help teachers find online tools to enhance classroom learning. The site allows teachers to search by type (apps, games, websites), subject matter, grade level, and price. They also provide a page of “Top Picks” for teachers to see what is currently trending. The resources (web based, tablet apps) are reviewed by a team from Common Sense Media. Here's how their ratings are developed. They also accept input from teachers who can sign up to provide some classroom based evaluation, as well as examples how to use the tool reviewed. It will be interesting to see how this all works over time. When you select a tool, you are provided a collection of information on the site/app. This includes general information, link to standards, student skills it addresses, pros and cons of the site, and a rating system on engagement, pedagogy and support. The ratings are a result of data collected by a team of educators, and based on very specific criteria. References to standards include CCSS for ELA and math, and state standards for science and social studies. Here is an example of my selection, Mission US: Flight to Freedom, a “top pick”. I have used this site in my classroom and find the ratings and comments that I see on Graphite to be very much in line with my own observations. Summer is a great time to start looking for new learning opportunities that engage your students. Consider bookmarking Graphite and referring to it when you need something new. Teachers new to technology will find this site invaluable in helping to weed out the myriad of choices. Doing effective research is a core skill (some would say 'life skill') that students need to learn effectively. And, one of the design considerations for Common Core is to blend research and media skills into the standards overall. (I've noted specific 5th grade Writing standards at the end of the post, below). The CCSS include 'research' in ELA Language, Writing, and in the "Literacy for History/Social Studies, Science and Technical Subjects" section of the ELA standards. Whew! It's everywhere! Unfortunately, students do not have an innate ability to do effective search. Many tend to think of any information available on the internet as 'freely available' to reuse/borrow/steal. As teachers, we need to explicitly instruct them in how to accomplish effective search, from thinking of the best terms that will likely give useful results, to thoroughly gauging the credibility of the sources, and then citing those results, appropriately. All of the modules- broken out as Beginning, Intermediate, and Advanced, are valuable. But, if time were an extreme constraint (when is it not? ), I'd focus first on "Picking the right search terms," and "Evaluating credibility of the source." Google's Lesson Plan Map does a very good job laying out the progression, the essential questions, skills to be gained, and the CCSS and NETS standards addressed. Too bad there is no direct links back to the lessons themselves, but still a useful page to ground and focus the effort. On credibility, Catlin Tucker's blog post here does an excellent job of helping students walk through the process. The focus is also on Common Core, an added bonus. The "Got Credibility?" form, by itself, is a winner, helping students walk through structured questions about the potential source. Good stuff! a. Apply grade 5 Reading standards to literature (e.g., “Compare and contrast two or more characters, settings, or events in a story or a drama, drawing on specific details in the text [e.g., how characters interact]”). b. Apply grade 5 Reading standards to informational texts (e.g., “Explain how an author uses reasons and evidence to support particular points in a text, identifying which reasons and evidence support which point[s]”). 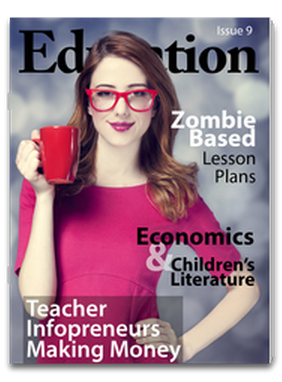 We had the opportunity to write an article for a recent issue of Education Magazine. We thank Dustin Chambers and his staff, and recommend you check out their publication at the link above. Below is the text of our article. Accepting the viewpoint that the Common Core State Standards is a blueprint for education creates a number of issues educators are required to tackle. One issue is recognizing that the new standards only detail the student outcome, not how that outcome is learned by the student. Assuming there exists an implementation plan at school that has already addressed the “why and what” outcomes to learn, teachers now need to address the “how.” How do I, a third grade teacher, create opportunities in my classroom that will ultimately lead to college and career readiness? How do I teach students so the outcomes are truly learned? We find this a very exciting proposition, and indeed a great time to be an educator. Accepting the opportunity that lies before us, how will we incorporate the CCSS, while also addressing other educational prerogatives, such as integrating 21st century skills, project-based learning, and the complexities of technology? Our philosophy – remain focused on student outcomes! Regardless of your school’s access - 1:1, BYOD, or a couple of tablets in the classroom – technology does more than just balance the playing field. It offers opportunities to meet the standards, address 21st century skills, allows for differentiation, provides for creativity and choice, and most importantly, pushes students to reach those higher levels of thinking. Creativity is no longer about those who are skilled in the visual and performing arts. It’s about taking what you know and applying it to new and different situations. It’s taking what was imagined and making it real. Technology helps make that happen. Let’s be clear though, technology must be in the hands of the student. Our goal is to identify tools that students can choose within learning opportunities that will allow them to do more that meet the standards. Technology opens the doors to discover the world around them, learn collaboration skills, and work responsibly, all while absorbing the appropriate curriculum. Correspondingly, technology should not just replace paper and pencil. Here’s an outline on how to set your students up for success. Collaboration - Don’t confuse group work with collaboration. True collaboration means students working together to solve real world problems, create effective videos, write narratives, and so on. Time spent learning how to collaborate is a life skill that will serve them well. By the way, “collaboration” is clearly delineated in the ELA anchor standards. Peer Review - Another important skill to learn. Peer review is not spell checking, nor is it a “this is great!” Google Docs comment. It’s helping one’s peer meet the criteria of the task as defined by BOTH the teacher and the student collaborative group. Rubrics - Let the students know what you are looking for. Having students participate in rubric creation has its benefits too. Address an Essential Question Each unit should require students to address a broad question that, once answered, assures you the students have met (and exceeded) the grade level standard. 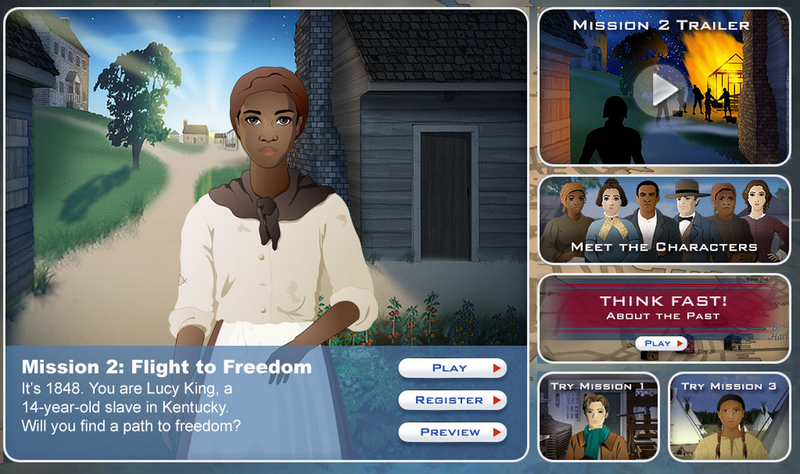 Questions like, “Of all the root causes of the Civil War, which one impacted the South most significantly, and why?” allows students to delve deep into the economic, political and social aspects behind the war. They have to understand all the causes, then draw conclusions based on their research. The breadth and depth of responses will make it clear who’s learned the material and who’s providing filler or fluff. Require Unique Outcomes The opportunities for choice is key to students reaching higher levels of thinking and redefined learning. Whether your classroom is BYOD, tablet based, or uses a computer lab, students should be able to access a variety of technology tools to produce their work. 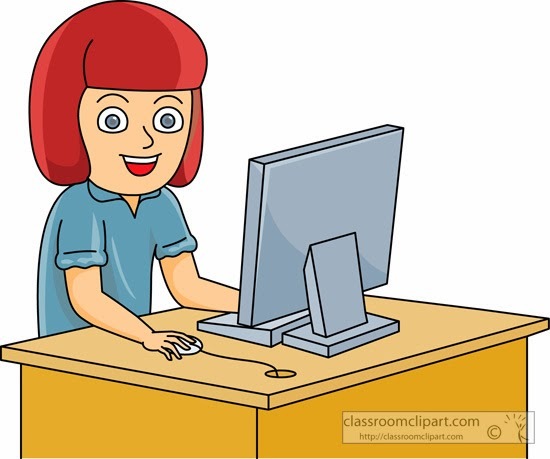 ELA anchor standards are specific to integrating and evaluating content from different media resources, and to produce unique work using technology. The concept of digital storytelling allows students the opportunity to convey their thoughts, ideas and evidence in a manner that engages both the presenter and the audience. Here is a short list of some of our favorite web-based digital storytelling tools. They are all easy to use and require little from the teacher in terms of ‘set up’ for students to be successful. Pixorial - A powerful web-based video editor that students and teachers will find easy and fun to use. WeVideo - Another web-based video editor that has built-in collaborative capabilities. Animoto - Create slideshows with images, video, music and transitions. Great for comparing themes, characters or settings. The “free” version is limited to 30 seconds of video. VoiceThread - Another collaborative solution for sharing a story. Students create “conversations in the cloud,” based upon images, text and audio they add. VoiceThread allows the audience to comment on or continue the story. Comic Creation - Comic creation allows students to share their learning in imaginative ways. Ideal for second language and emerging English learnings. There are a number of free tools online, but watch for ads and inappropriate material. Consider ReadWriteThink Comic Creator, a simple and fun choice Note: it does not allow saving work - must complete in one sitting. HelloSlide - A fun slideshow creator that adds speech to text! Add your own images (created in Google Slides, for instance), type out a script and let the suave English guy verbalize it for you! Has a Performance Component Having a larger audience encourages students to create work that in no longer “just good enough.” Who sees the end results of your student projects? Is it just you and the those in that classroom? If the answer is yes, consider using technology that broadens the audience. Some web tools, like VoiceThread, allow viewers to leave feedback. Presentations, speaking and listening opportunities are all important ELA components. Blogging - either at the class or individual student level - is another powerful tool to speak to a wider community and engage your students. It’s easy to get distracted or frustrated by the “next great thing.” By focusing your objectives, and plan using the framework described above, you’ll raise the bar for student learning. Students will be more engaged, and after you do a bit of heavy lifting planning your approach, outcomes and rubrics, you can become a “guide on the side” to help your students craft some awesome outcomes. We think it’s very likely you’ll be amazed by the results! If you are looking for an easy tool for sharing stories in your classroom, try UtellStory. This web-based site is very easy for students to use, allowing the upload of images, video, text and music. Users can also record their own audio. The free version is a little stripped down, but offers enough bandwith for your students to create and share. In a literature setting, I see this as a fun tool to support charactization, themes, figurative language, etc. Once published, UtellStory supplies a URL or embed code for posting to class websites, blogs or eportfolios. I made a simple one below using my own photos and music from Jamendo. Check it out, I think you'll come up with a number of ways your students could use this in your classroom.